Is LDH more strict than Johnny & Associates? Who says cute “pure” idols can’t be petty? Earlier today AKB/HKT 48 member Sakura Miyawaki caused quite a stir in the idol circles by adding her own comments to a questionable tweet. 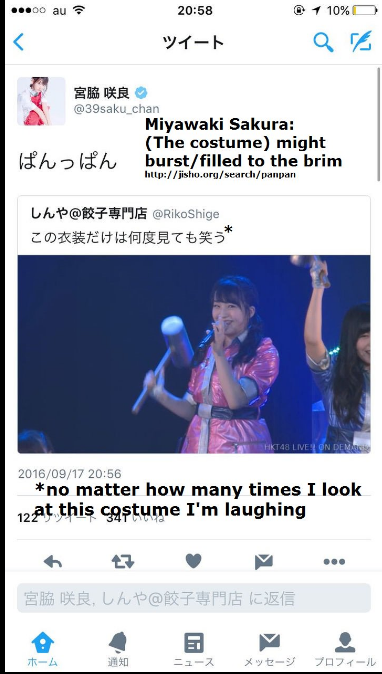 The tweet is of HKT48 member Meru Tashima performing at a concert with the text reading “no matter how many times I look at the costume I’m laughing”, Sakura then chimed in adding “[the costume] might burst. Perhaps she meant to reply as a direct message, but once she realized the tweet was made public, it was quickly deleted. However, fans were already quick to grab a screenshot the second the tweet went live. 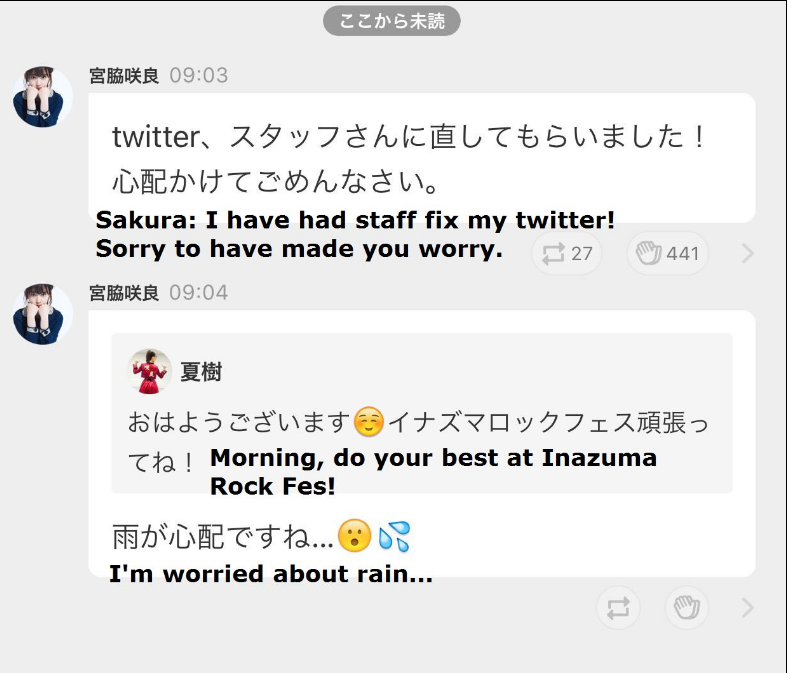 The tweets were followed by keyboard smashes and Sakura then claimed her twitter “wasn’t working” and that staff had fixed it, she then made another statement one minute later completely changing the subject. Sakura debuted in 2011 as a 1st generation member of HKT48 and has rapidly gained popularity over the years. In the recent Senbatsu Election she came in 6th place. 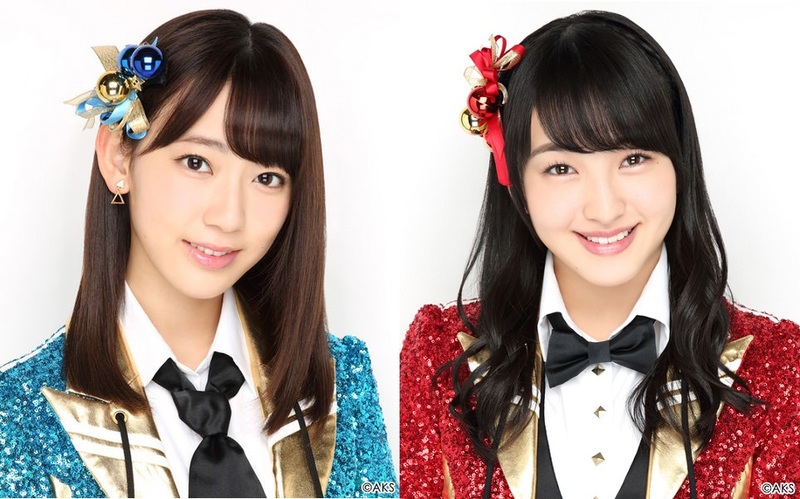 Meru debuted the following year as a 2nd generation member of HKT48 and has yet to comment on the situation. This post is tagged with gossip, meaning it contains information that is purely speculation. We post about gossip for the sake of discussing topics that are not often talked about on this site and how the Japanese entertainment industry interprets certain issues within the context of their culture. Plus, it's fun. ARAMA! JAPAN is an entertainment blog that provides broad coverage of Japanese pop culture of music (J-Pop, J-Rock, etc. ), celebrities, video games, doramas, anime and everything else in between.